SelectionLink studied Inside Sales Reps for a large 2,000+ employee organization. The Inside Sales Reps were given the SelectionLink online assessment for sales. The company helped to break these reps down into 3 different performance groups based on their actual sales/performance. 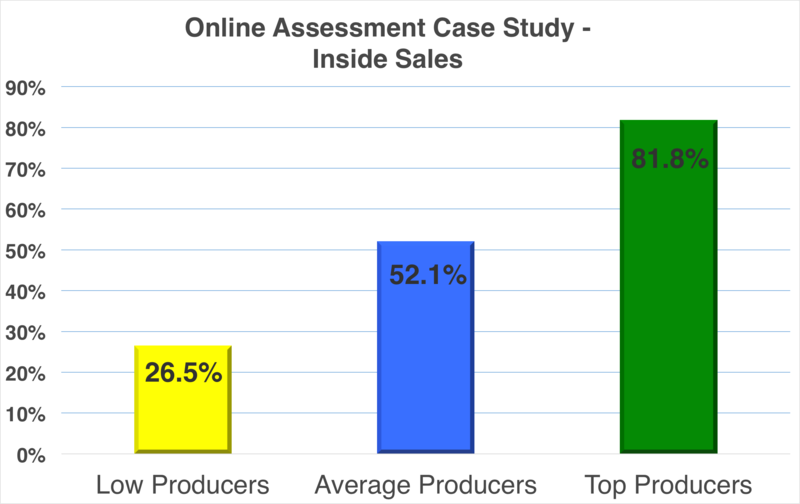 On average, the top performing Inside Sales Reps scored over 42 percentile points higher on our online assessment than the bottom performing groups. This is further proof that SelectionLink’s online assessment can help you with your hiring decisions. The results can help you easily separate the candidates who are likely to perform higher than the others. Don’t make any more uninformed decisions, costing your company unnecessary time and money. Hire the best candidates today!